Satya Nadella may have fallen short of convincing Marc Benioff to sell Salesforce.com to Microsoft earlier this year but the two rivals are extending their year-and-a-half-old strategic partnership. Nadella also found his way onto the podium last night at Dreamforce 2015 in San Francisco, where the Microsoft CEO participated in the keynote session at Salesforce.com's annual customer and partner event. The extended pact, announced yesterday, aims to provide further connectivity between Salesforce.com's platform with several additional Microsoft productivity applications, including Skype for Business, OneNote, Delve, and Windows 10. Benioff, Salesforce.com's CEO, initially made the announcement onstage with Microsoft Chairman John Thompson. "The Salesforce and Microsoft partnership has been beyond our expectations," Benioff said during his keynote. "We're unified in ways we've never experienced before." During a post-keynote press conference, Benioff described the partnership as "an aggressive move," adding, "We're not afraid of Microsoft. We want to embrace it." The two companies announced plans to work together last year. Earlier this year, they unveiled the public beta of the Salesforce App for Outlook. Salesforce has overhauled its own platform to produce two versions: "Lightning" and "Thunder." Salesforce unveiled Lightning in August, which is built on the Salesforce1 platform and has a new user interface, and combines several tools, including the new Lightning Design System, Lightning App Builder and Lightning Components. Thunder is the scalable processing engine behind the company's new Internet of Things (IoT) Cloud service. The Skype for Business integration with the Salesforce Lightning Experience allows Office 365 customers to use Skype to generate Web meetings, find colleagues online, click to chat and make voice and video calls from the Salesforce platform. The OneNote integration will allow users to associate notes with Salesforce records and view and edit notes in OneNote from the Salesforce platform. The Delve integration makes the open Office Graph ecosystem viewable and discoverable via Salesforce. And the Salesforce1 Mobile App for Windows 10 will be an "app to empower sales teams to move deals forward while on the go, using their favorite Windows device," the companies said. All four integrations are expected in the second half of 2016. Salesforce said it will launch its new IoT Cloud service officially sometime next year. Microsoft is the first Thunder user; Benioff called the company its "launch partner." Salesforce Cofounder Parker Harris, who showed up at the keynote dressed as "Lightning Man," said the Salesforce overhaul was "the biggest thing we've done since we started this company." He then showed conference attendees how Microsoft is using the IoT Cloud service in conjunction with Azure Event Hubs to track Office 365 event data. Azure data is automatically sent to Salesforce to trigger events. Harris demonstrated how the Salesforce service determines how Office 365 data should be used, and then connects it to the Salesforce Marketing Cloud. The IoT Cloud can capture data from billions of daily Office 365 usage events, he said. Industry analyst and author Jason Bloomberg, president of Intellyx, who attended the conference, sees the IoT Cloud as more of an integration cloud. "What's interesting is the sheer scale of it," he said. "How many Office 365 customers are there? How many events per customer per day? 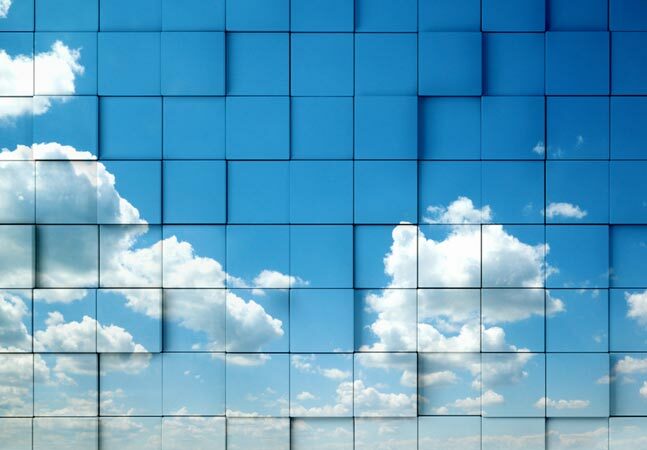 That is a massive cloud scalability challenge." Cisco Systems, which is also an early IoT Cloud customer, is using the service to monitor event data generated by its networking hardware, Benioff said. He was joined onstage by Cisco CEO Chuck Robbins, who talked about his company's investment in IoT and the Salesforce integration. "We can feed analytics in, and correlate it, and dynamically change the infrastructure based on what our customers are doing," he said to Wired reporter Jessi Hempel. Nadella spoke in general terms about "partnering broadly" and "harmonizing the multiplicity of interests." But he added that "Diversity is an existential need for us at Microsoft" and that his company's partnerships with Salesforce, Apple, and others are about providing for customer needs. Forrester Analyst John Rymer, who also attended the Dreamforce event, said the Salesforce partnership is another example of new thinking at Microsoft and its ongoing effort to capture demand wherever they find. Rymer credits Microsoft's Azure group, among others, for recognizing early the folly of maintaining a closed ecosystem. "Microsoft has been investing in further enhancements of .NET and Windows, of course, but the Azure guys realize that they can't live on the demand that comes from those sources alone," Rymer said. "That's why [Microsoft] is reaching out to the Linux community, to the various language communities, and to Docker. The logic behind the Salesforce partnership is simple: the company has a big community behind it and partnering positions Microsoft to capture more demand." Microsoft's decision to partner with Salesforce is also an important endorsement of the latter company's technology, said IDC analyst Al Hilwa. "Everyone knows that Microsoft has the horsepower to build something that can analyze this data in time," he said, "but the Salesforce team has put this product together with just the right functionality at the right time. The IoT Cloud puts Salesforce on the map as an IoT analytics player. With IoT Cloud, you have to give it to Salesforce for taking the rocket science out of data science and bringing IoT analytics to the masses. That top technology companies like Microsoft and Cisco are using it is a strong endorsement of the power under the covers."